Isaac Babel, the greatest Russian writer of fiction after Anton Chekhov and Vasili Grossman, was arrested by Soviet authorities in May 1939 and executed on trumped-up charges soon after that. Now his grandson, Andrei Malaev-Babel, has teamed up with film-maker David Novack on a documentary about his life, FINDING BABEL. 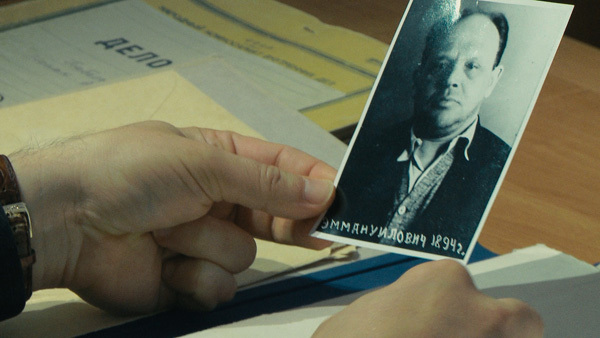 The 90-minute movie centers on Malaev-Babels quest to find not only his grandfathers grave but the truth about his execution, which was ordered by Josef Stalin himself, with the complicity of the NKVD. 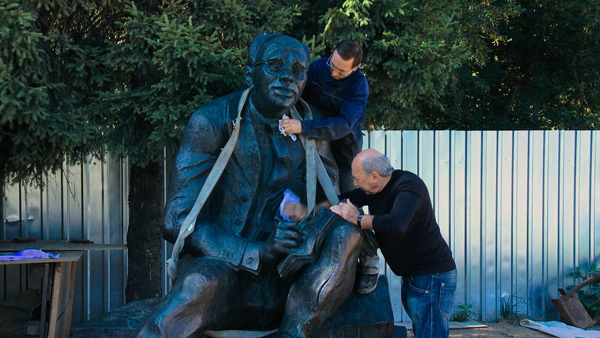 In their eyes Babel, a Jew from the seacoast town of Odessa, was an enemy of the state largely because he told the truth as a writer, especially when it came to the atrocities committed by the Soviet army in Western Ukraine right after the Revolution. Babel, who was embedded with a Cossack brigade during that civil war, wrote stories and dispatches that got him in trouble with Stalin, who didnt want the world to know what his army was up to. In FINDING BABEL, Liev Schreiber reads excerpts from Red Cavalry, Babels book of Cossack tales, which are paired with poetic images of horses or peasant women or bees (the Cossacks drunken, brutal behavior included the wanton destruction of hives). Schreiber also reads from another of Babels famous books, Odessa Tales, with accompanying images from that once-thriving, largely-Jewish enclave on the Black Sea. Writing was sheer agony for Babel; he would rewrite the same page dozens of times. It often took him a day to do a quarter of a page, yet his study was piled with manuscripts, all of which were confiscated when he was arrested. Despite Malaev-Babels best effortshe even got permission to dig into the NKVDs files in Moscowthe manuscripts have never been found. FINDING BABEL gives considerable screen time to Babels second wife (and Malaev-Babels grandmother), Antoine Pirozhkova, who was 101 years old at the time of filming. Pirozhkova, a retired civil engineer, testifies to the mix of sadness and humor that made Babel great. She also describes his last days, his arrest and disappearance, with still-smarting pain and grief. Malaev-Babels quest takes him to Paris, where Babel spent a brief amount of time in exile and wrote the play, Maria, which was banned in the USSR because of its political incorrectness. Malaev-Babel, a drama teacher at Florida State, assembled a group of actors to read from Maria and discuss its subversive nature. Equally shocking was Malaev-Babels visit to Peredelkino, the writers colony outside Moscow where Babel once owned a dacha. Now a gated community, Malaev-Babel was denied access by its paranoid inhabitants, who also ordered the guards to give him a good thrashing. So much for Russian hospitality and humanity today.